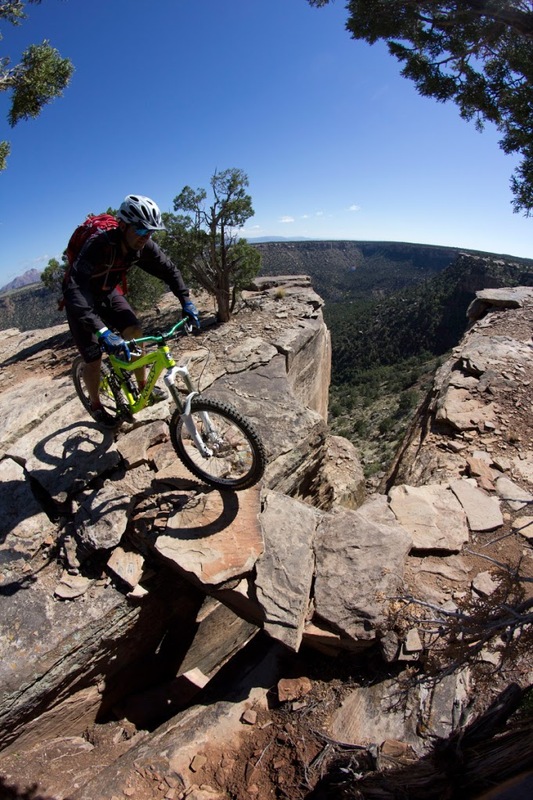 HURRICANE – When it comes to mountain biking in Utah, Moab is king, but some Southwestern Utah mountain biking enthusiasts would argue that Hurricane and its surrounding area are rising in the ranks. Other local biking enthusiasts, however, disagree with that assessment. The distinct advantage Moab has over Hurricane, and Washington County in general, is more trails, Brinkerhoff said. 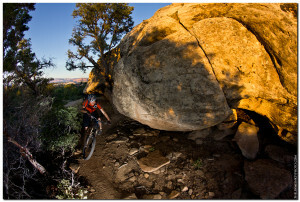 Utahmountainbiking.com, one of the foremost sources for information on mountain biking in the Beehive State, features descriptions of just over 100 trails in the Moab area. When it comes to Southwestern Utah, it breaks the region up into two areas – those surrounding Gooseberry Mesa, which is closest to Hurricane, and those nearer St. George. It lists only 28 trails in the Gooseberry Mesa area. 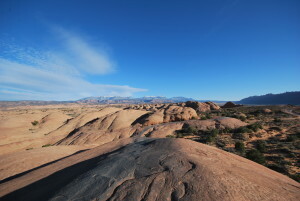 In the St. George area, it lists 40 trails. So with 68 total trails, this corner of the state has a ways to go. But while Hurricane and Washington County might be lacking in quantity, they do not lack in quality, according to many. 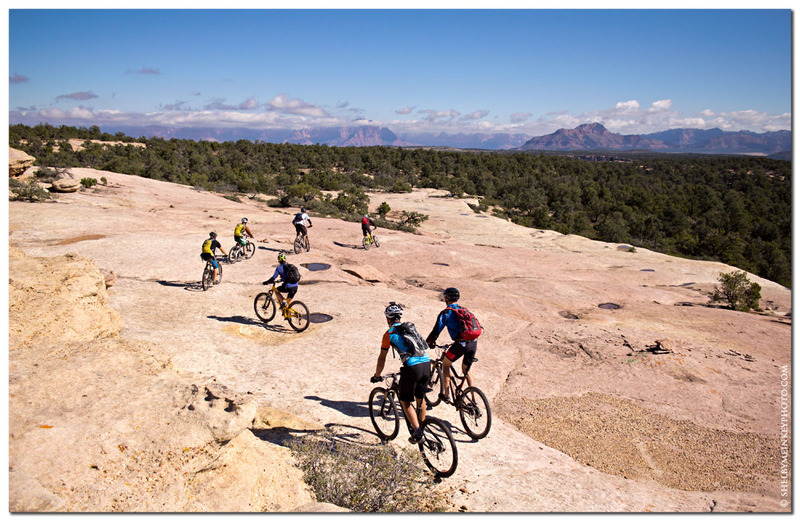 From Gooseberry Mesa, mountain bikers can see Zion, Kolob, the Canaan Mountains and the Pine Valley Mountains, Brinkerhoff noted. Mountain bikers who recently traveled to the area concur with Brinkerhoff’s sentiment about the area’s trails. The number one thing this year’s Hurricane Mountain Bike Festival attendees liked most about the event, according to surveys, was the quality of the trails, DJ Morisette, Quentin’s wife, said at the last Hurricane City Council meeting while giving the council a report on the festival. Cimarron Chacon, of GRO Promotions, who is the race director of the 6 hours in Frog Hollow, 24 hours in Frog Hollow and up-and-coming races staged in the Gooseberry Mesa area, agreed with Brinkerhoff on the quality of trails in Washington County. She said one of the biggest differences between Hurricane and Moab is that a lot of Moab’s trails are old roads, while most of Hurricane’s trails were purposely built for mountain biking. Hurricane’s trails allow for interconnectivity with networks such as the Hurricane Rim and JEM, which provide the ability to enjoy 50 miles of trail without having to get in a vehicle to drive to another trailhead, she explained. A few things that Moab has that Hurricane doesn’t, Chacon said, is more events and more of a variety of events year-round, as well as more of a mountain biking atmosphere – the mentality for it, hotels that are friendly to bikers, restaurants with outdoor seating and a more consolidated main street. A few things Hurricane has going for it is its proximity to Zion and the Interstate, she said. More trails are being constructed in the Hurricane area, approximately 12 miles worth in the last few months, Chacon said. One new trail is near Quail Creek Reservoir, called Quail Creek Ridge. Another two have just opened in the JEM area, Dead Ringer and Cowbell, which are designed for beginners but are fun for any level of rider, Brinkerhoff said. Dead Ringer even has multiple line choices, he explained – riders can choose the path in some places they feel the most comfortable riding. “The best thing that Hurricane/Washington County can do is create more of our own styled trails that draw people because they are fun and found in an amazing area,” Brinkerhoff said, explaining that the last thing the area should do is to try to be a copy of Moab. One of the things the area needs to be considered more of a mountain biking destination is more trails, Brinkerhoff said. 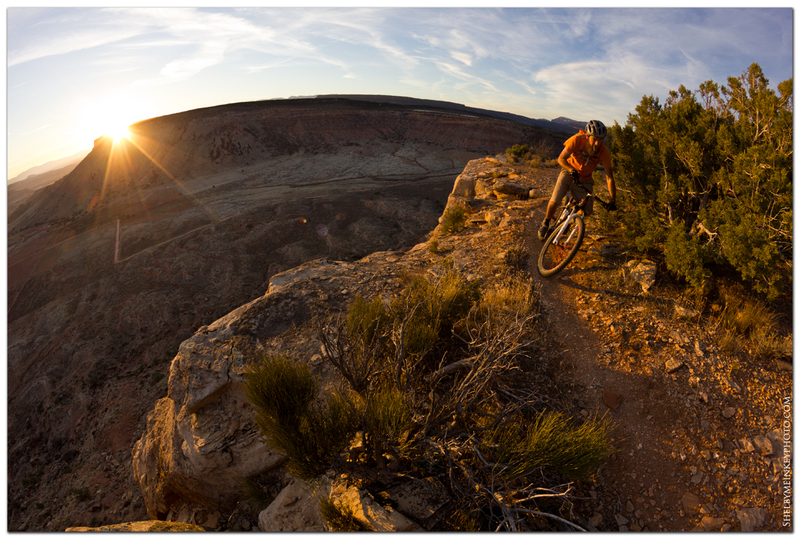 The Dixie Mountain Biking Trails Association is actively seeking to construct more trails in Southern Utah. Even with its current trails, Chacon said mountain bikers can come to Washington County, spend a week here and never ride the same trail twice. One thing Hurricane specifically is lacking is hotels that cater to mountain bikers, including group rates and specials, Chacon said. But on the positive side, Chacon said it does have places providing a good mountain biker vibe, such as Main Street Cafe and Durangos, who are sponsors for some of the local mountain biking events. In short, Chacon said Hurricane has quality trails but not the culture. DJ Morisette agrees with Chacon, saying the Hurricane area needs more establishments that provide mountain bikers coming to the area with the atmosphere they want – somewhere they can hang out and have a beer. Right now, many mountain bikers end up in Springdale, she said. Creating that social vibe is exactly why a beer garden on the Hurricane Community Center lawn is a part of the Hurricane Mountain Bike Festival. Another of Moab’s advantages, DJ Morisette said, is it has a specific tourism center to provide information to mountain bikers. “I think we’re moving in that direction,” she said of Hurricane. Both Chacon and the Morisettes agree that mountain biking has a bright future in Utah’s Dixie as they report their events’ attendance has risen every year. The momentum of mountain bikers in the area has increased tremendously in the last year, Brinkerhoff said.